To celebrate Women’s History month this year, we’ve come up with a short list of groundbreaking female pioneers and noted how their efforts have had an effect on the medical field. Without some of their accomplishments and inventions, life for women in the medical field today could be very different! 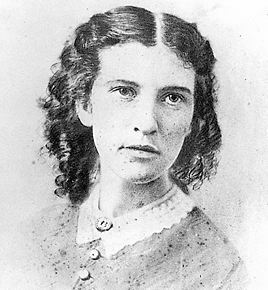 Elizabeth Blackwell (1821-1910) –the first American woman to gain admission to and graduate from medical school (her acceptance was based on a vote by the student body who were joking in their unanimous “yes” vote, but the faculty acted to enroll her). The practical joke was on the rest of the students however, Elizabeth graduated at the top of her class! Emily Blackwell (1826-1910)-Elizabeth’s younger sister who was the co-founder of of the first American hospital for women, staffed solely by woman, The New York Infirmary for Indigent Woman and Children. The sisters went on to open the Women’s Medical College of the New York Infirmary, where they both also served as professors. Rebecca Lee Crumpler (1831-1895)–the first African American woman physician in the US. Florence Nightingale-laid the foundation for professional nursing in 1860 when she established the first secular nursing school at the Saint Thomas Hospital in London. International Nurses Day is now celebrated worldwide on her birthday. Patricia Bath (1942- ) – the first African American female doctor to receive a patent for a medical invention (a method for removing cataract lenses using a laser device, which made the procedure more accurate). Elizabeth Lee Hazen and Rachel Brown-co-developed Nystatin, patented in 1957 which is an anti-fungal antibiotic drug. They donated the royalties from their invention ($13+ million) to the Research Corporation for the advancement of academic scientific study. There are numerous other female medical pioneers that have not been mentioned in this article. If you’d like to honor anyone in particular, please leave a comment below! ← Dickies TEN in TEN Giveaway~ Day 10 Winner! Thanks for sharing this history on medical pioneers! I enjoy reading on this kind of stuff! Very interesting to learn! I found it very interesting about Patricia Bath in 1942 first Africian American female DR. and she invented the laser device for removing cataracts more accurate! Every Tuesday I help our eye surgeon get his pt’s ready for cataract surgey with so many eye drops I give. I also went in to surgery with him and seen it done with laser so this information I will pass on to him and see if he knew abot Patricia Bath story in history! Thanks!